Stourhead nestles close to the Wiltshire-Dorset border, at the heart of some of England’s loveliest countryside. It lies at the foot of the Downs on the Western edge of Salisbury Plain, and is surrounded by 6,000 acres of woodland offering wonderful walking. The network of Wiltshire cycle trails runs less than a mile away, and there are opportunities for horse riding and hunting in season. Let us know if you would like us to arrange something for you. Our aim is to make your stay an unforgettable experience and share with you our passion for Stourhead. The nearby area is steeped in history, and within an hour’s drive you will find the Roman city of Bath, the Jurassic Coast of Dorset, and Stonehenge – Europe’s finest prehistoric monument, the work of our Neolithic ancestors some 4,500 years ago. It isn’t surprising that many of our visitors return year after year. In the season we are often fully booked, so please contact us as early as you can to avoid disappointment. The most popular times are summer and autumn, but Stourhead can be just as breathtaking in winter, when we offer special rates. We are approximately two hours from London. 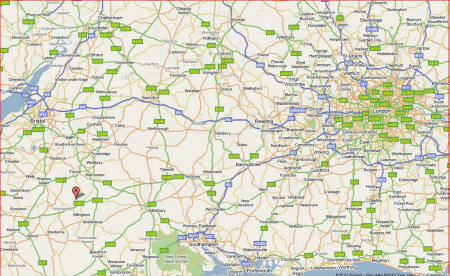 By train: The nearest stations are Gillingham, Dorset (trains from London Waterloo) and Bruton (from London Paddington). 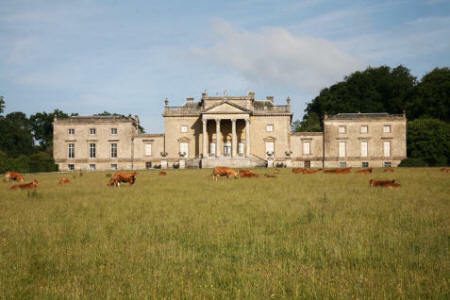 Both stations are around 15 minutes drive from Stourhead. By road: Take the M3 and then the A303. Continue past Mere until you see the Welcome To Wiltshire sign, then turn off and follow the brown signs for about two miles to Stourhead House and Gardens. If you need help with transport/taxis, please let us know. © Copyright Stourhead Gardens Bed and Breakfast 2012 - 2015. All rights reserved.